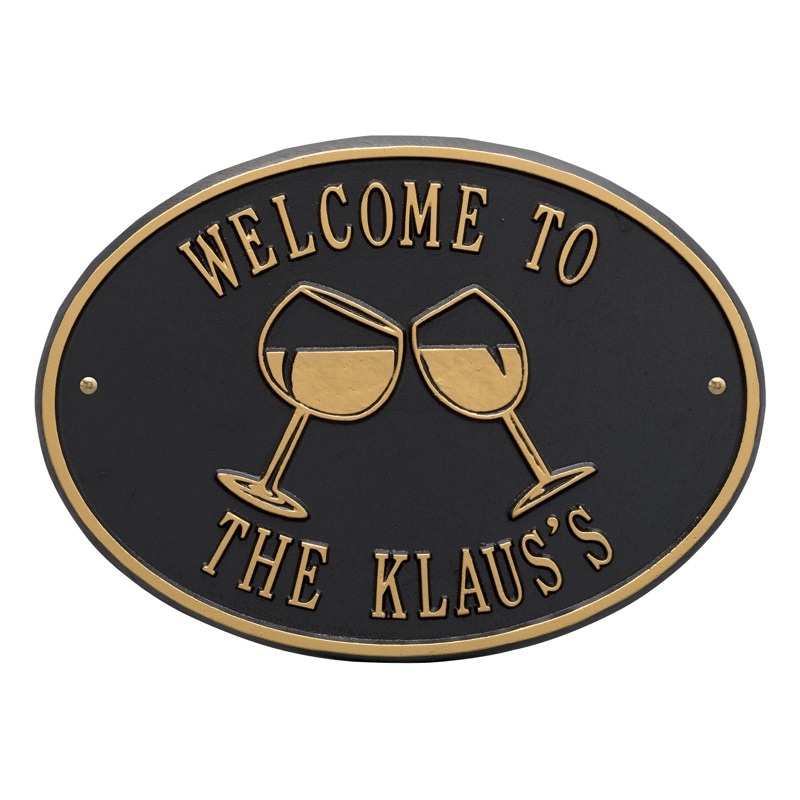 Proclaim your love of wine with this attractive, customized wine glasses sign. Personalize with two lines of text. The wine glasses are handsomely displayed in the middle of the plaque. 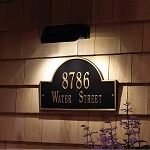 The Wine Glasses plaque can be customized with two lines, one above the glasses and one below the glasses. 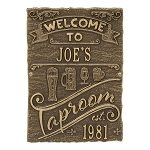 Made of recycled aluminum, this sign is both durable and rust free. 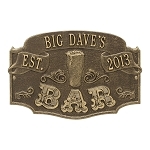 All hardware is included to mount this plaque on a wall. 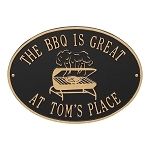 It can be displayed indoors or outdoors - or wherever wine is served. This makes a great wedding gift too. Made in USA. Dimensions: 14.25" x 10.25" x .25"